Approximately 90% of the footwear we craft is for medical patients needing accommodation because of degenerative foot conditions, or as a result of accidents. We work with many workers' compensation injury victims, diabetics, and professional athletes that have become aware of the great need to protect their feet from daily abuse. For a large majority of our customers, the shoes they wear are considered medical devices, not luxury items. Crary Shoes has been serving customers all over the world for over 40 years. Physicians of all specialties send their patients to us because of diabetes, rheumatoid arthritis, ankle fusions, congenital deformities, war injuries and much more. Crary Shoes has been serving Veterans who have experienced injuries due to their service to our country and also those who suffer from diabetes. Bill Crary is the son of William B. Crary, Sr. who was KIA in Korea and also the adopted son of Bill Danner, of Danner Boots. Bill Danner served our country in WWII, flying 50 missions. He recently passed at the ripe old age of 97. Crary Shoes is one of the last remaining custom orthopedic shoemakers who still manufactures in the United States. 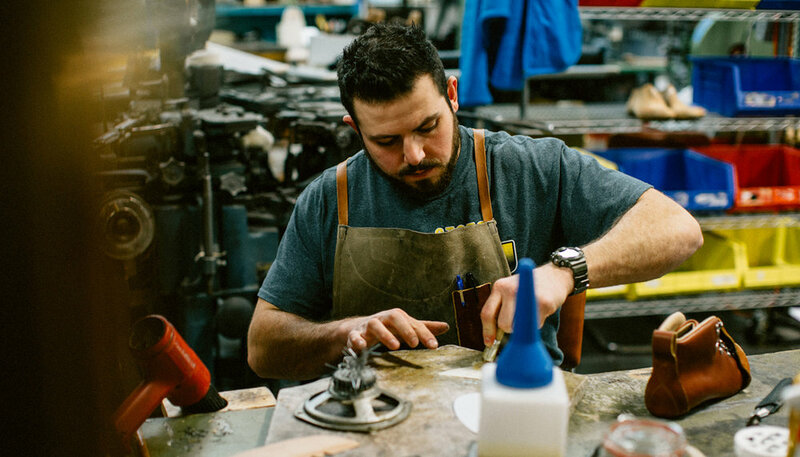 Every pair of custom shoes are made in our factory in Portland, Oregon. We are proud to be combining old world quality craftsmanship with new world technology & efficiency. We thank you for supporting American Workers! Bill Brannon's story about how Crary Shoes, "saved his life."